Is Amazon readying to pounce post Brexit? Welcome to this week’s round-up where we take a look at Amazon’s biggest shopping day ever, Amazon Pay being introduced at physical brick-and-mortar stores, eBay’s trademark ruling and more! According to the Food and Drink Federation all available frozen and chilled storage space, which could be used to stockpile food in the event of a no-deal Brexit, has been taken. An inquiry by MPs has been told that the available space has been picked off by Amazon, with Food and Drink Federation chief executive Ian Wright stating: “what we don’t know is whether there is actual product in those places.” If true, this would signal a huge sign of intent from Amazon about pushing its food and drink offerings. Limited storage space for frozen and chilled goods could inevitably lead to higher storage costs which in turn would likely result in higher prices for consumers, however, this could be what Amazon is planning for. It could give Amazon a significant advantage if it can keep its own costs down and pass savings on to the consumer. This year’s Cyber Monday has proved to be the biggest shopping day ever for Amazon in terms of the number of units sold. Amazon is remaining tight-lipped on exact figures on units and sales, only stating that it had had its biggest shopping day ever. Amazon has said that over the Black Friday weekend (from Thanksgiving on the Thursday to Cyber Monday) more than 180 million units were ordered by customers. We won’t know exact figures for the fourth quarter until Amazon reports earnings in the new year, but in its third-quarter earnings report, it estimated revenue for the holiday season to range from $66.5 billion to $72.5 billion. Amazon also stated that small and medium-sized businesses ‘grew sales over 20 percent on Black Friday year-over-year’ but once again didn’t release any specific figures to quantify the claim. Alexa can tell you when the last post is this Christmas! It has been announced in the US that Amazon Pay is going to introduce its digital wallet payments at petrol stations, restaurants and brick-and-mortar stores. The e-commerce giant is currently working to persuade merchants to accept its digital wallet, which if successful would expand the service which is currently primarily used for online purchases. 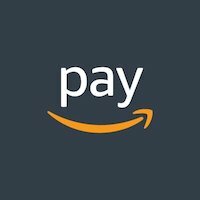 It is reported that Amazon Pay will be introduced in physical places which won’t present competition to their offering. What remains unclear is whether shoppers will be able to simply tap a contactless terminal (i.e. Apple Pay) or whether it would utilise a scan-as-you-go format.